Set in the small village of Podimore in the beautiful Somerset countryside The Podymore Inn is a traditional stone built public house that has been renovated in 2014 and modernised into an impressive eating and drinking venue. A warm and friendly atmosphere awaits you when you join us for lunch and evening meal with family and friends, a celebration night out, a light lunch or simply to sample one of our hand-pulled real ales. All of which can be enjoyed in our traditional dining area, cosy bar, and on a warm summers evening our outdoor seating area. We can cater for larger bookings, in our spacious conservatory. Children and the four-legged members of your family are also welcome inside and out! We offer a Light Lunch menu, or if you fancy something more filling a full menu is offered mid-day and evening. We produce quality home cooked food and Local Real Ales. We use local suppliers - Longmans Cheese, The Bakery in West Camel and Saunders Butchers in West Coker. Many years ago, there used to be a Moore of frogs next to the Pub. Previously it was named The Butchers Arms in 1936. The village of Podimore, also known Milton Podimore. The pub was renamed Pody (the Saxon word for frog) and more for the Moore of frogs. 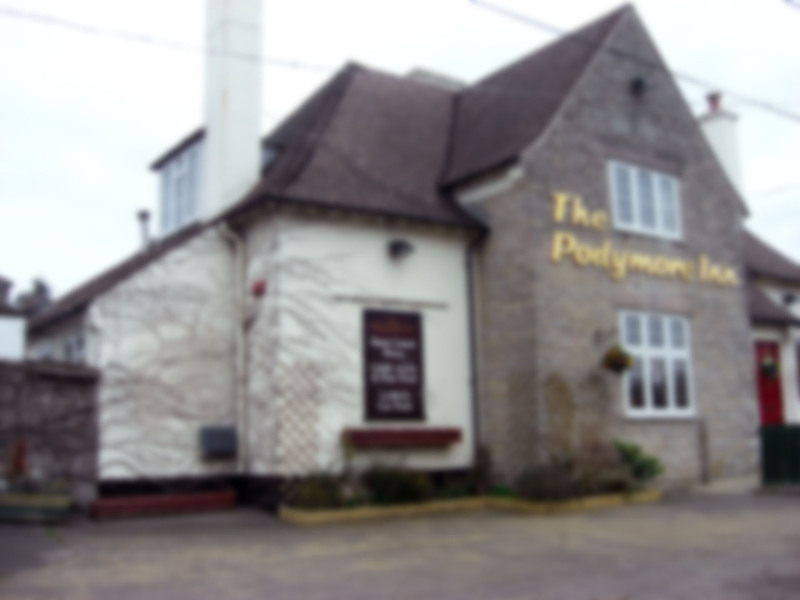 The Podymore Inn is spelt with the letter ‘y’ and the village name Podimore with the letter ‘i’. It has been said that the letter ‘y’ is the old spelling and the ‘i’ is the modern spelling. The frog was given its crown in 2014 when it was reopened after being closed and refurbished.